I know I harp on a LOT about Walt Disney World, but we do love going to the other theme parks too! 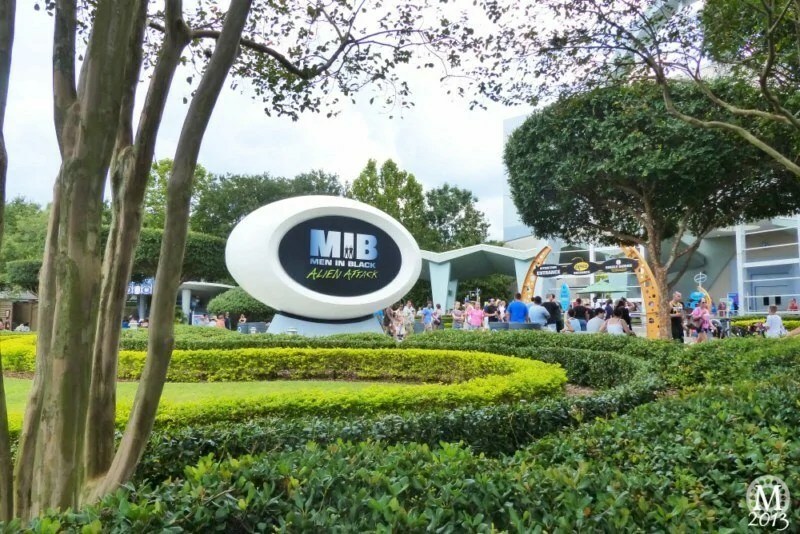 It just so happens that our upcoming trip is Disney focused, but I wanted to share about Universal Orlando and why it is an ideal place for teenagers when visiting the theme park capital of the world in central Florida! 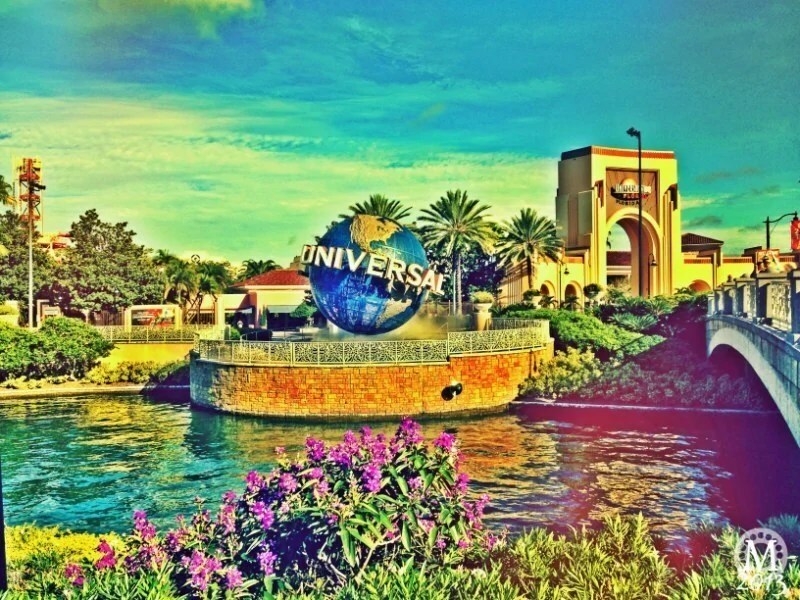 With two fun and thrilling theme parks – Universal Studios Florida and Universal’s Islands of Adventure, plus vibrant nightlife at CityWalk with restaurants, music, movies and more, there is plenty to keep teenagers (and adults too!) entertained! Universal Studios Florida and Universal’s Islands of Adventure are right next door to the other. You can easily fit both parks into the same day if you want to. We have done this and it makes for an exciting day! As the mother of a teenager, I know exactly which rides are best suited to this age group! 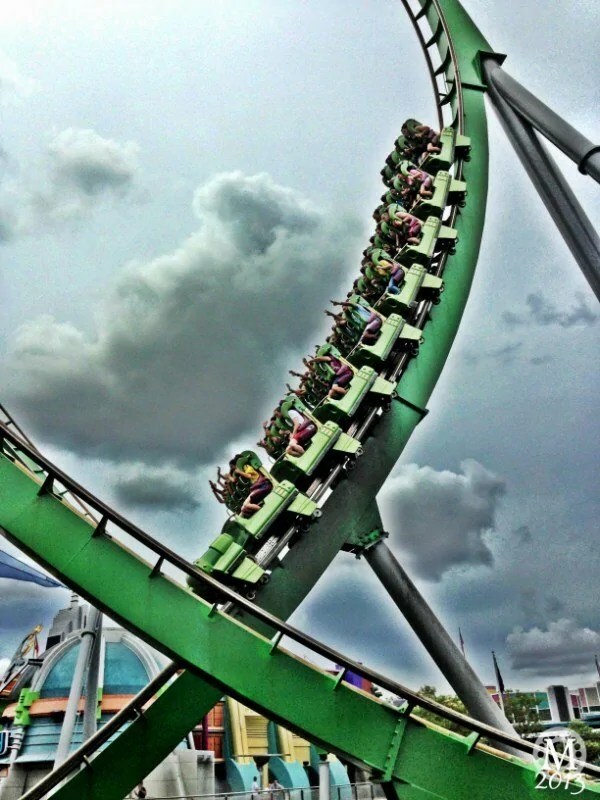 I’m now going to share with you, what I think are the best rides for teenagers at Universal Orlando! Please note, this post was written a few years ago now and needs to be updated with newer rides at Universal Orlando! You ride along with The Simpsons family as they visit Krustyland, the Krusty-est place on earth! 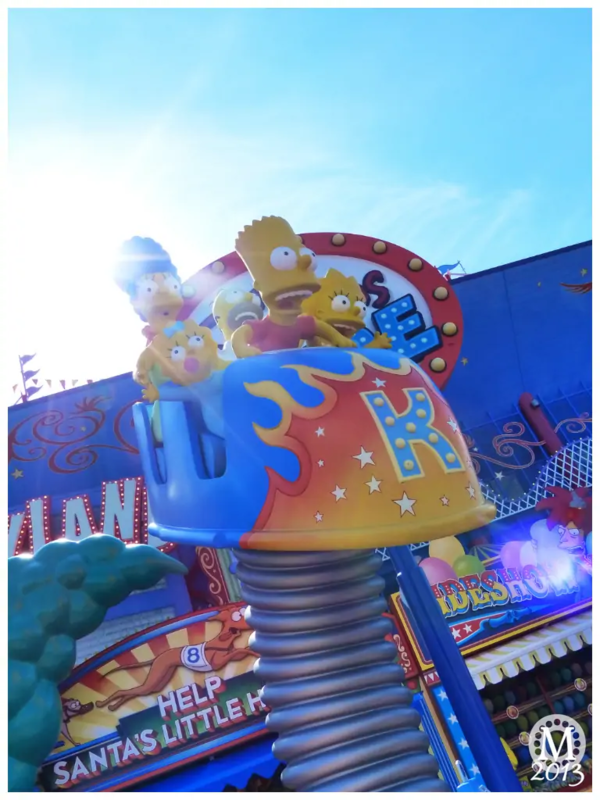 The Simpsons Ride® is a simulator with giant 80 foot screens that give you a ride through the Krustyland theme park which is essentially falling to pieces! You are sat in a rollercoaster type car which moves about, and combined with the on-screen action you really do feel like you are flying and dropping! A fun ride! 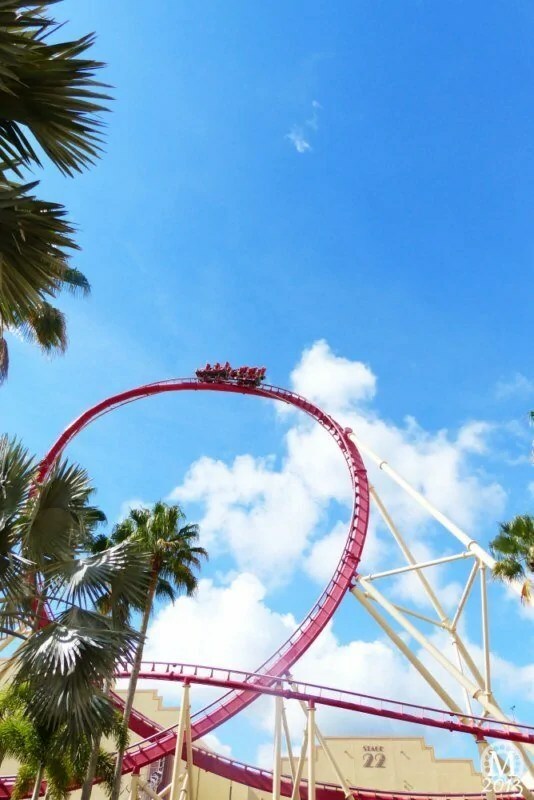 With speeds of up to 65 miles and hour and towering 17 stories over Universal Studios you can’t help but be thrilled by this rollercoaster! You pick your own soundtrack to rock along to as the ride takes you on this thrilling adventure, with six near-misses and a the world’s first non-inverting loop! This is one of my teens favourite rides, in fact, as a family, it’s one of our favourite rides too! 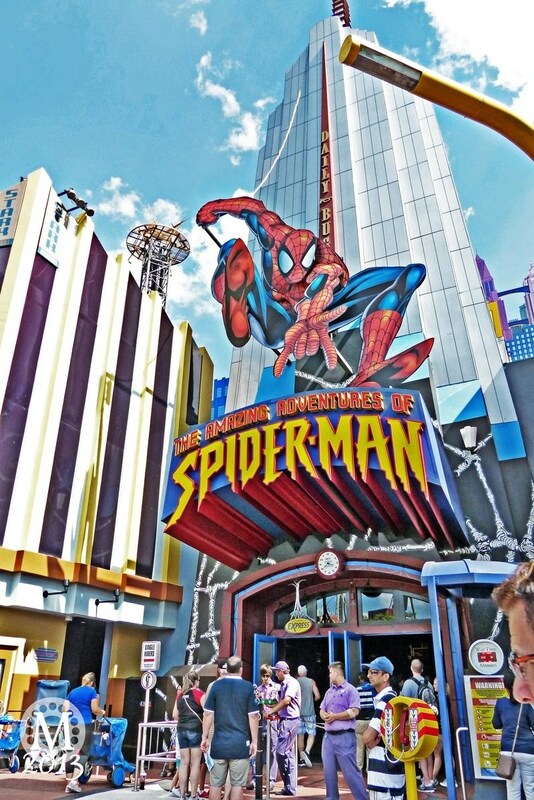 The ride set up is similar to TRANSFORMERS: The Ride-3D, but featuring Spider-Man and a cast of supervillains including Doctor Octopus, Scream and Hydro-Man. You ride in a news gathering car called ‘Scoop’ and are suddenly caught up as the supervillains steal the Statue of Liberty. Crashes, explosions, drops and a huge fireball makes this ride TOTALLY AWESOME! 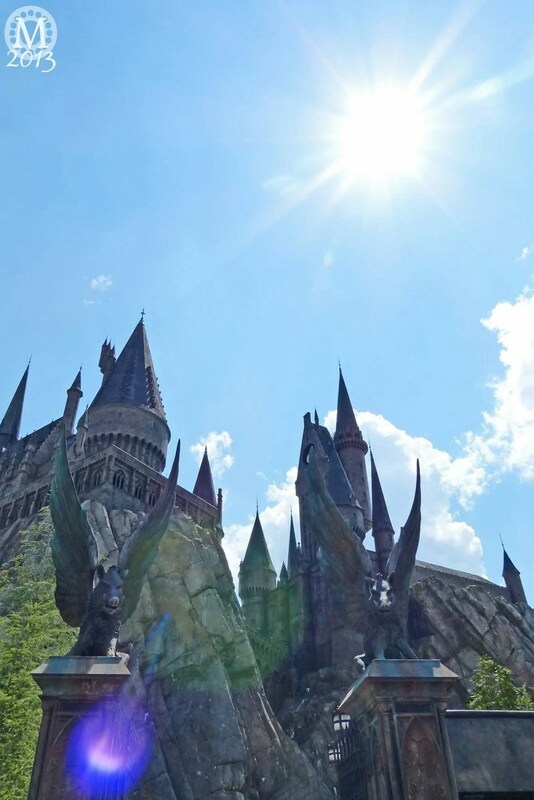 A must-do ride for all Harry Potter fans! Your are taken on a magical ride around the classrooms and corridors of Hogwarts and then high above the castle grounds. Watch out for magical creatures – and you might want to shut your eyes if you are scared of spiders! Tip! There are test seats just outside the entrance to the ride. This coaster looks AMAZING. We’ve not been brave enough to try it yet, but the lines for it tell me it’s a popular ride! With seven inversions, including a zero-g roll, a cobra roll, two vertical loops and two corkscrews, it is 2 minutes, 15 seconds of thrilling adventure! 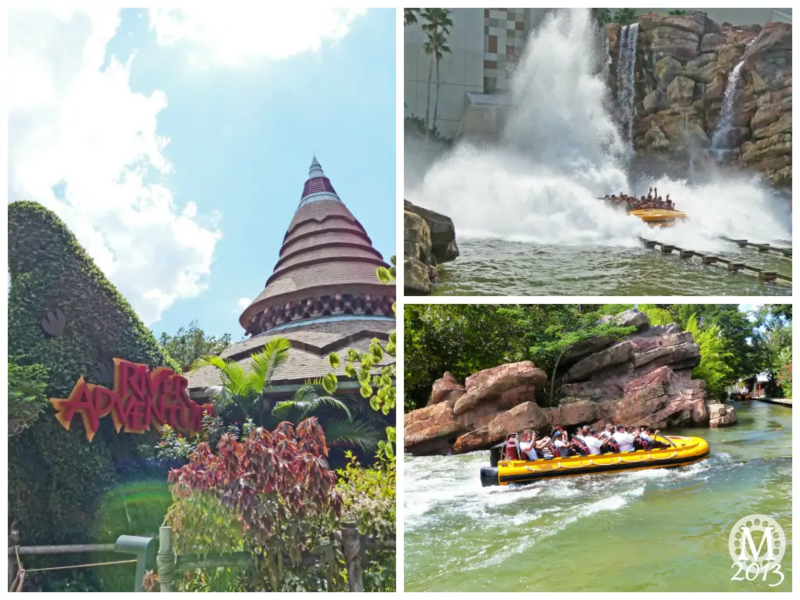 These are just some of the fab rides at Universal Orlando – I haven’t been able to talk about them all – nor the great attractions and shows that are also great fun for teens, I’ll save that post for another time! 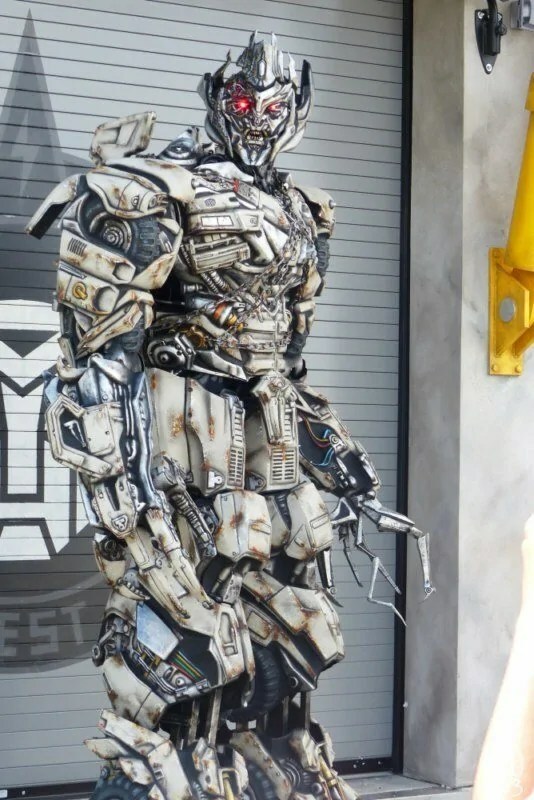 When you visit Universal Orlando with your teenager, make sure that they check out these rides first, I bet you they won’t be disappointed! Spiderman is a favourite of mine! I also love all the water rides at Islands of Adventure. Really looking forward to the new Escape to Gringotts ride with the new Diagon Alley expansion at Universal and the Hogwarts Express ride from park to park.